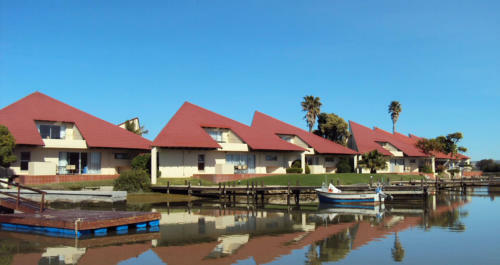 Situated in Velddrif on the Cape West Coast, just 150km from Cape Town Airport, and minutes from the fishing village of Laaiplek, the 41 self-catering apartments and chalets of the Port Owen complex are situated on the banks of the marina. There are many opportunities for sailing, boating and fishing, as well as a playground and open air heated pool. Relax, enjoy fun activities, discover the area, and take pleasure in an array of sporting facilities. 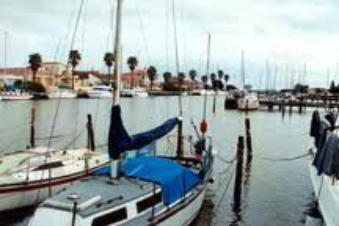 Most apartments have access to a jetty and guests can bring their own boats and water sport equipment. Don't forget your binoculars, as the area is a birding hotspot. The self-catering apartments overlooking the marina offer a configuration to suit all tastes, from 1 bedroom suites to 3 bedroom cabanas. Selected apartments have a second bathroom for your convenience. The appliances include a microwave oven, washing machine, fan, tumble dryer and dishwasher, as well as TV with selected DSTV channels, a balcony or terrace depending on the configuration, and a private braai area. All apartments are serviced.